Anti-HA magnetic beads kit is based on hydroxyl magnetic beads covalently coupling with high quality mouse IgG2b monoclonal antibody. With high loading of HA-tagged protein (more than 0.6 mg protein/mL) and high specificity, it is recommended to use for co-immunoprecipitation and protein purification. No signal is observed. 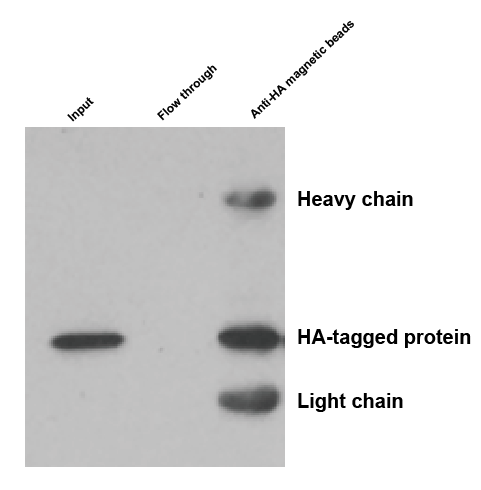 HA tagged protein is not expressed in the sample. Make sure the protein of interest contains the HA sequence.